Great opportunity to own horse property and be on the Trinity River as well as having 1.79 acres. The parcel with the home includes a very expansive 4 car or larger work shop/ barn that consist of approx 3,480 sq ft, wired with 220, extra tall roll up doors and an up stairs loft. Going inside the home you will be treated to the views of the river from most of the home with walls of windows to take in the views, the home is approx 1689 sq ft, 2 bedrooms and 3 full bathrooms, the living room is extra large and comes with a cozy wood stove, the kitchen features tile counters, custom cabinetry and built in hutch. Master bedroom comes with slider to back deck over looking the river, also featuring dual mirrored closets. The back yard is completely fenced in and comes with a in ground swimming pool, the pool does need to be re-surfaced. Going down to the rivers edge you will find it has a gentle slope with easy access in to the river. 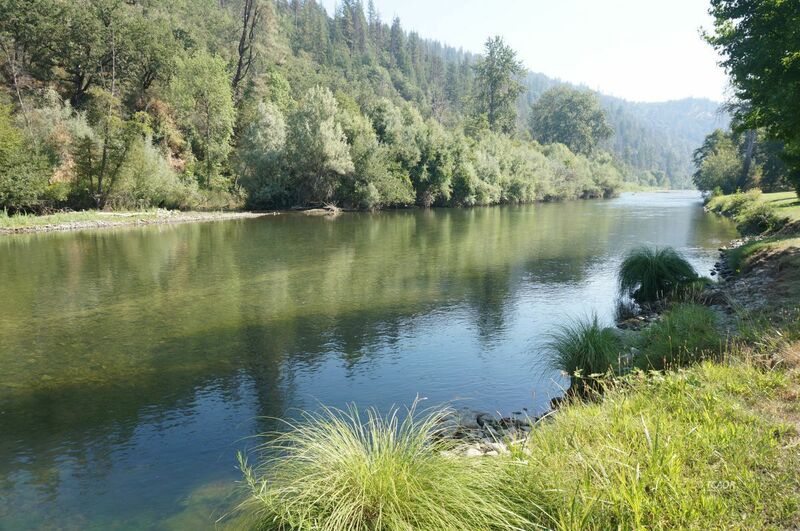 This property can be yours and have the opportunity to have Trinity River front property.